Yvonne O. Black, age 82, of Paw Paw passed away peacefully early Sunday morning, September 2, 2018 at her home with family by her side. Yvonne was born January 11, 1936 in Chicago, IL, the daughter of Omer and Orphina (Demaret) Francq. She retired from Visiting Nurses Association in 1998 after many dedicated years. 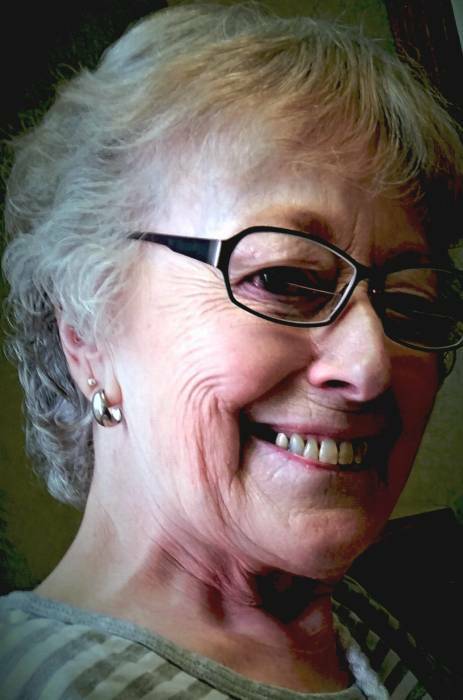 Yvonne enjoyed gardening, art, reading, cooking, sewing, crocheting and spending time with her family and friends. She will be dearly missed. Yvonne is survived by her loving children: Nancy Black of Decatur, Wendy Black Mills (Tom) of Lawton and Tom (Lori) Black of Paw Paw, grandchildren: Brandon, Kiera, Jared, Tyler, Seth, Morgan and Dylan; great grandchildren: Landon, Brody, Rylee, Grayson, Maddox, Kendry, Connor, Makayla, Madison, Alexander and #11 coming in November. She was preceded in death by her dear friend Joyce Stevens. Funeral services for Yvonne will be on Friday, September 7, 2018 at Adams Funeral Home, 502 W. Michigan Ave, Paw Paw. The family will receive friends beginning at 10:00 a.m. until 12:00 p.m. A funeral service will commence at 12:00 p.m. with Pastor Tim Gunderson officiating. Burial will take place at Glendale Cemetery with a luncheon immediately following at New Hope Fellowship, 201 W. Michigan Ave, Paw Paw. Those planning a memorial contribution are asked to consider West Michigan Cancer Center of Kalamazoo.